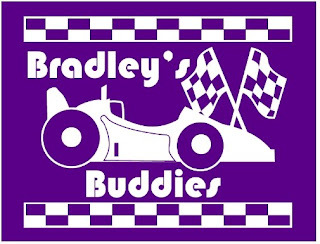 Bradley's Story: Bradley's Buddies t-shirts are back! Bradley's Buddies t-shirts are back! Join Bradley's fan club by purchasing an official Bradley's Buddies t-shirt!! The new shirts will be red! NOTE: T-shirts MUST be ordered by November 21st! All money raised goes to the Allen family to help with expenses. Shirts are red with a white logo. You can also call Tracey at 515-419-9381 to place your order. For local orders, you will be contacted with a time and location for pick-up and payment. Ordering for a group of people through one contact person would be helpful. Shipping cost is a flat rate of $5. Please make checks payable to Bradley's Miracle Fund and note in the memo "For Bradley's Buddies". If you are interested in paying for your shirts and shipping through Paypal, please contact Melissa @ melissa-ewing@live.com. Remember T-shirts MUST be ordered by November 21st!